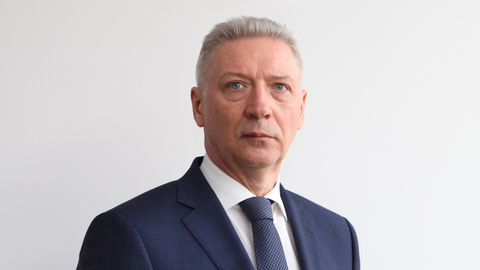 Leonid Voronin appointed first Deputy General Director of JSC "Federal freight"
The decision of the Board of Directors of JSC "FGC" from December 26, 2018, first Deputy General Director of the Company appointed Leonid A. Voronin. specialty "quality Management of transport services". In the field of railway transport since 1980. Went from an ordinary employee at the railway station Bekasovo-Sorting to the Deputy head of Centre for corporate transport service – branch of JSC "RZD" in the field. In JSC "FGC" Leonid Voronin will oversee production and business units of the Company. Joint stock company "Federal freight company" (subsidiary of JSC "RZD") is one of the largest cargo rail operators in Russia. JSC "FGC" is among the three leaders of the rating of operators INFOLine RAIL RUSSIA TOP. The main activity of the Company is providing rolling stock for transportation of goods, and rendering of transport-forwarding services. Total car fleet of JSC "FGC" is 134 thousand units of rolling stock (as of 08.01.2019). On the Russian Railways has 7 branches and 8 agencies of transport services JSC Federal freight, as well as representative offices in Moscow and Kazakhstan. Official site of JSC "FGC": www.railfgk.ru.